Saudi officials have given a series of conflicting accounts, but now say a "rogue operation" was to blame. They initially said Mr Khashoggi had left the consulate on the same day he visited it. Last Friday they admitted for the first time he was dead and said he had been killed in a "fist fight". Turkish President Recep Tayyip Erdogan has said he will reveal the "naked truth" of the matter in parliament on Tuesday. Saudi state media reported that Mr Mnuchin and the crown prince had stressed "the importance of the Saudi-US strategic partnership". They were held despite the fact that Mr Mnuchin - like a number of other Western politicians and businessmen - had pulled out of a major investment forum being held in the Saudi capital this week. President Donald Trump's latest comment suggests the US is yet to decide on its response. "I am not satisfied with what I've heard," Mr Trump told reporters at the White House. But he added: "I don't want to lose all that investment that's been made in our country," referring to the multi-billion-dollar arms deals with Saudi Arabia. He said: "We're going to get to the bottom of it." Mr Trump also said he had discussed the issue with the Saudi crown prince, seen as the country's most powerful figure. Foreign Minister Adel al-Jubeir provided the latest comments, saying the killing was a "rogue operation". 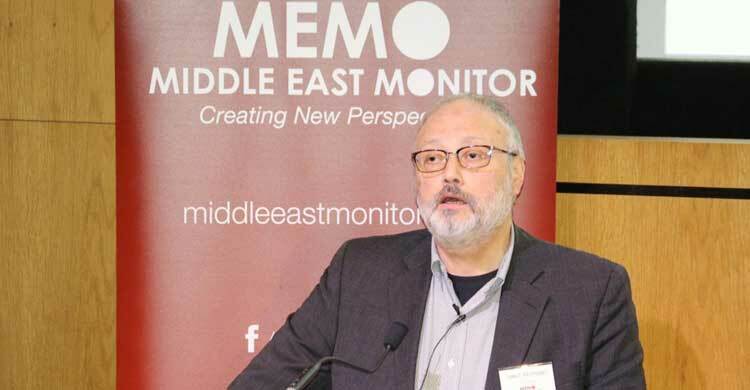 However, Yeni Safak, a media outlet close to Turkey's government, said it had information showing that the office of the crown prince received four phone calls from the consulate after the killing. Reuters news agency reported on Sunday it had spoken to a Saudi official who said Mr Khashoggi had died in a chokehold after resisting attempts to return him to Saudi Arabia. His body was then rolled in a rug and given to a local "co-operator" to dispose of. A Saudi operative then reportedly donned the journalist's clothes and left the consulate. The video appears to show the man leaving the consulate by the back door on the day the journalist was killed, wearing Mr Khashoggi's clothes, a fake beard and glasses, CNN said.